The history of the Hotel Le Richemond is rich. In many ways. One of the most prestigious hotels in Geneva, Le Richemond was established in 1875 by Adolphe-Rodolphe Armleder. 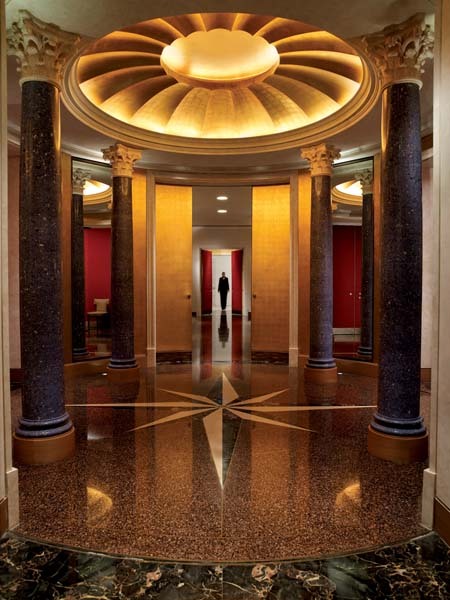 After World War II, his grandson, Jean Armleder, transformed the hotel to what it is today. His nephew John (b. 1948) became an artist in his own right, acclaimed in Switzerland and internationally. 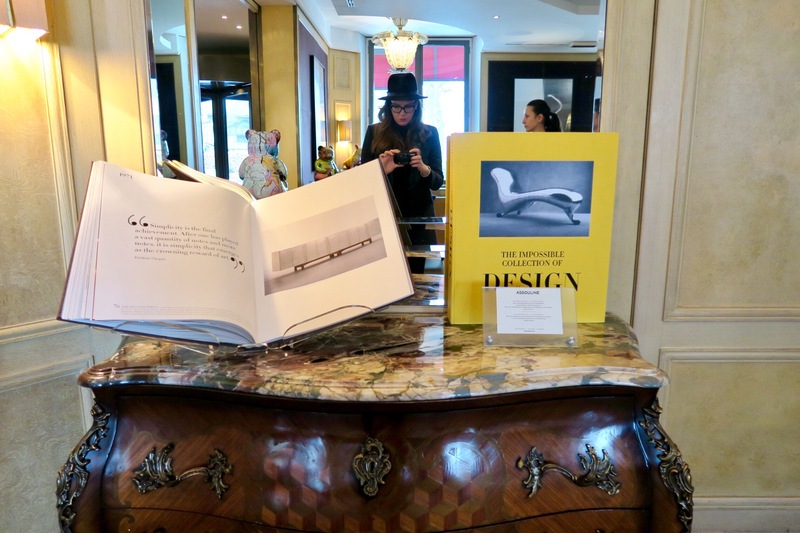 Although his artistic career seems to have taken him away from the traditional hotel business, he has nevertheless remained very close to his family and has added several pages to the history of Le Richemond. The hotel has already welcomed artists like Picabia, Hodler, Chagall and Miró and, most notably, Andy Warhol with whom John was close. 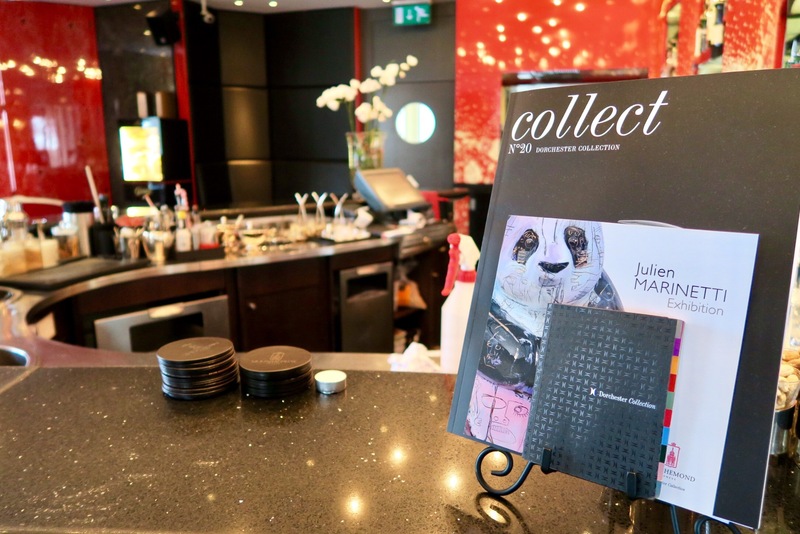 In August 2011, Le Richemond joined the Dorchester Collection, a group that manages a total of 10 luxury hotels around the world, including the eponymous The Dorchester in London. During the week of artgenève 2017 (26-29 January) I had the chance to spend two wonderful days in this amazing location in the heart of the city, just in front of the famous water jet on the Geneva Lake. 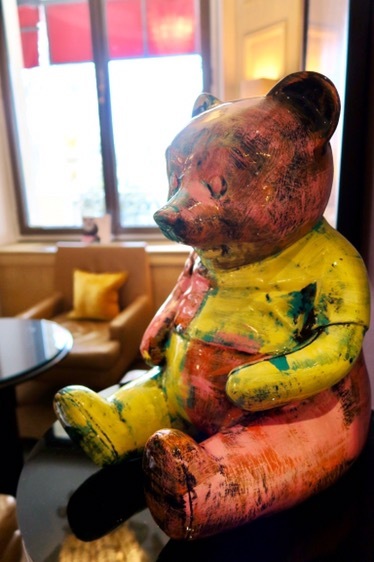 This partnership between *artemporary and Le Richemond stems from a deep and common interest: the love for Art and the idea that Art is for everyone. The change of ownership has in fact not obliterated the commitment and passion the hotel has always had towards Art. 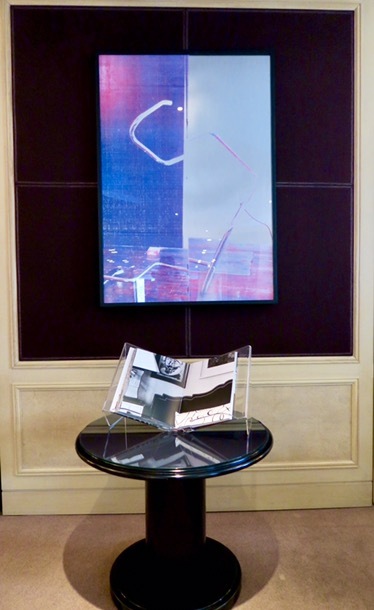 Today, the general manager of Le Richemond, Christophe Hilty, together with his marketing team curate the selection of art works and manages the choice of artists to showcase on its ground floor. The portfolio so far has been very diverse, counting on a blend of well-known and less-known personalities from Switzerland and abroad. 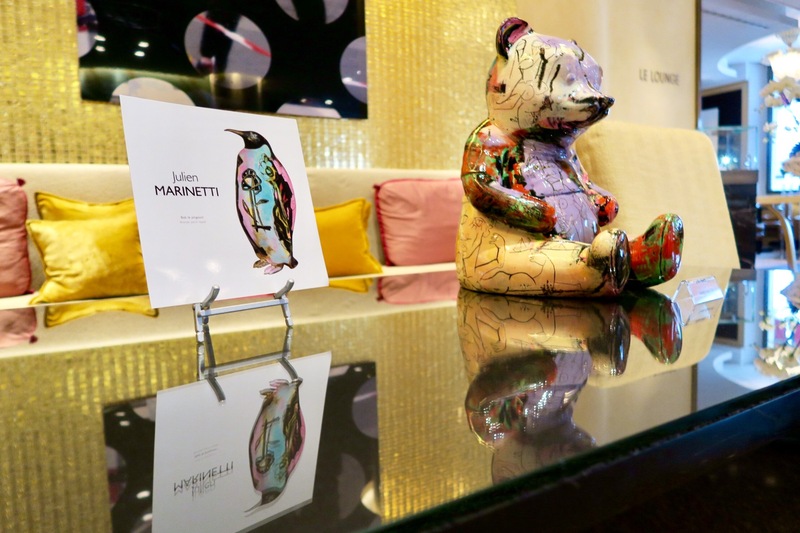 Currently, by the entrance door and in the majestic foyer you can admire the sculptures of French artist Julien Marinetti (b. 1967), known to the wider public as the creator of the sculpture-paintings “Doggy John”, “Teddy Bear”, “Skull” and “Panda Ba”. Through his syncretic approach, the artist essentially treats the bronze object as a three-dimensional painting surface, creating a bright pop blend of neo-cubism and expressionism. He uses bronze as his primary material and the lacquer enhances the colours of his sculptures. 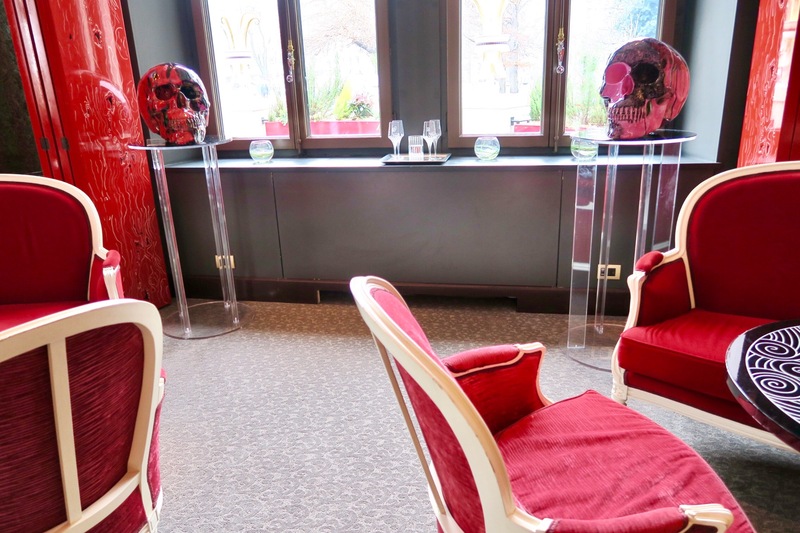 Two exemplars of “Skull” by Julien Marinetti in the Bar of the Hotel. 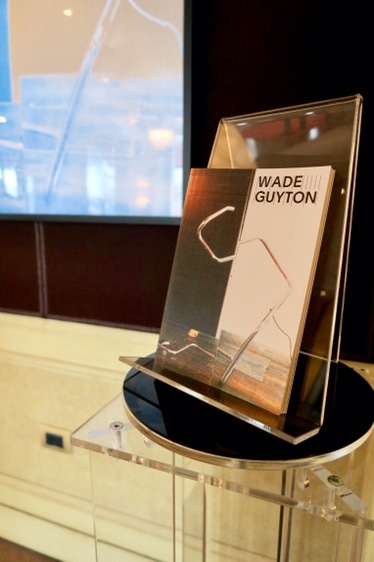 The second artist on display is the American Wade Guyton (b. 1972), best known for works on paper and canvas that exploit the painterly but erratic qualities of Inkjet printers. 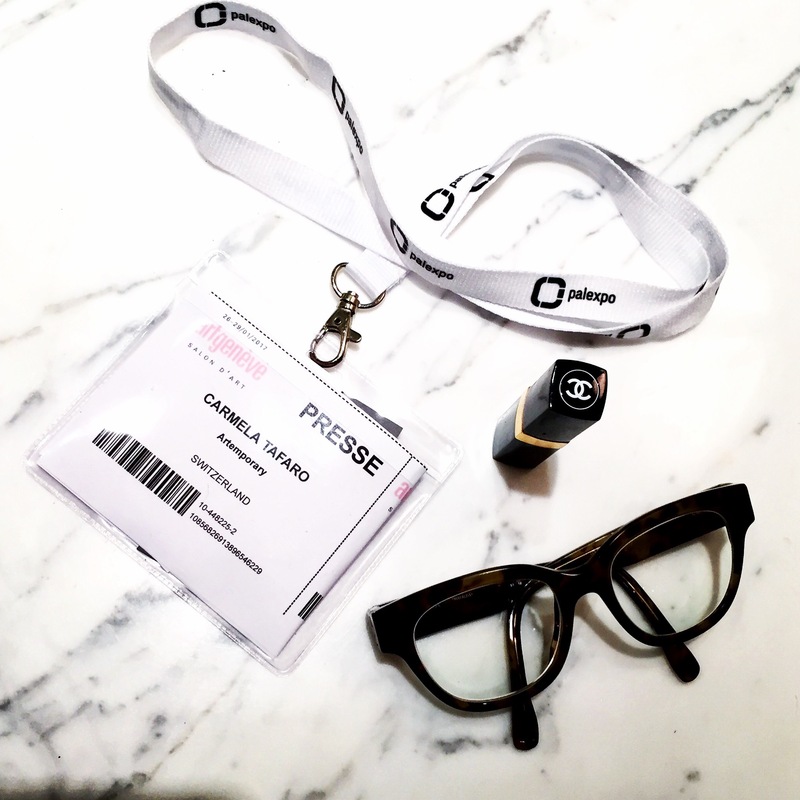 He is one of the most influential representatives of a generation of artists who reflect on and produce images in a digital era. Guyton’s paintings, on intertwined display with Marinetti’s works, are indeed realized by putting canvases several times through huge inkjet printers to print motifs and lettering. His retrospective at MAMCO in Geneva (which just ended) celebrated the artist career and a practice that keeps questioning the entire chain of production and representation as well as the future of art as an image. Both artists will be on view until mid-February 2017. 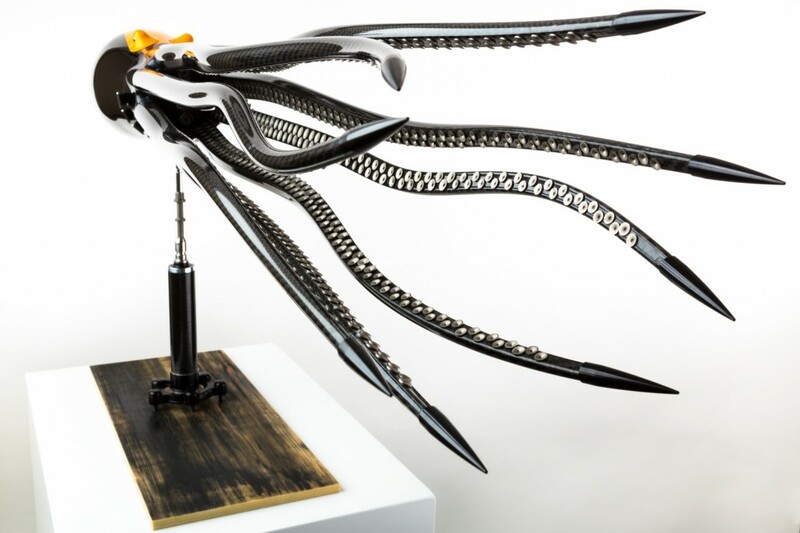 On the 23rd of March, Alastair Gibson‘s carbon fibre sculptures will fill the hotel’s lobby. 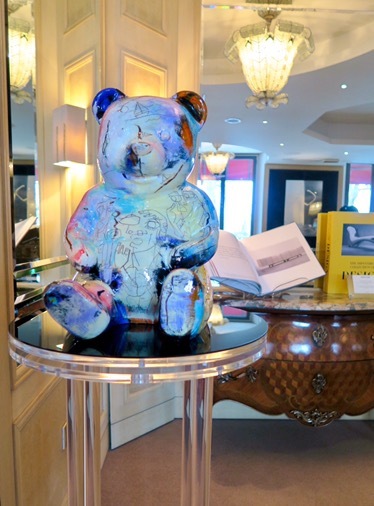 In order to complete experience, Le Richemond offers its guests an “Art Package” in collaboration with MAMCO. This includes a room with a lake view, breakfast, entry ticket to the MAMCO, and the “arty” cocktail created by the craftsmanship of the Hotel’s barman. 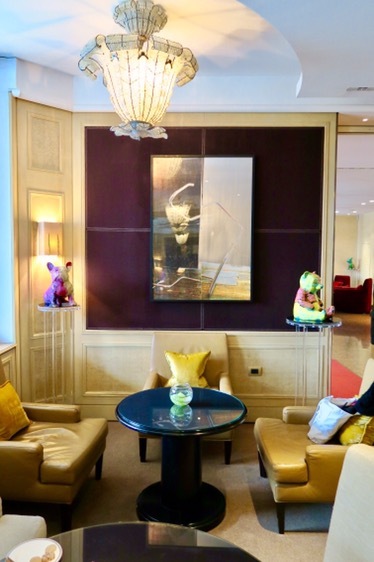 The Hotel’s Art collection can be visited by the public: that comes with the compliments of the Le Richemond. 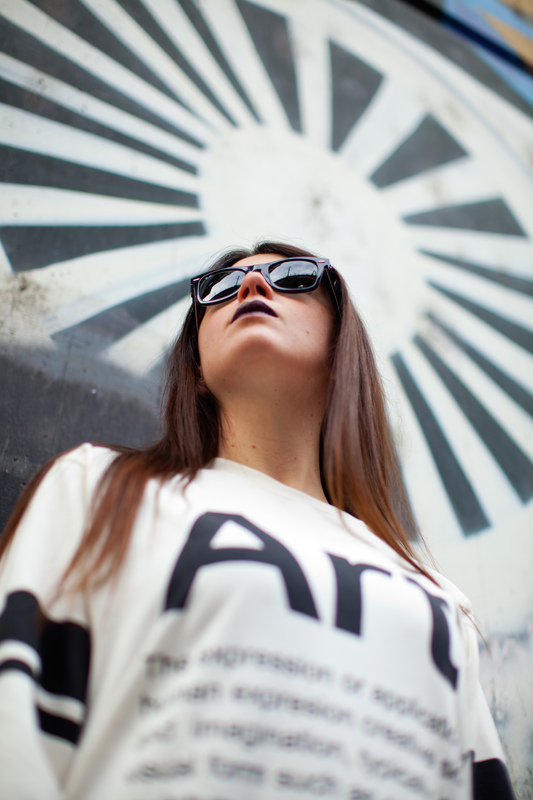 Have a great week Art-Lovers! 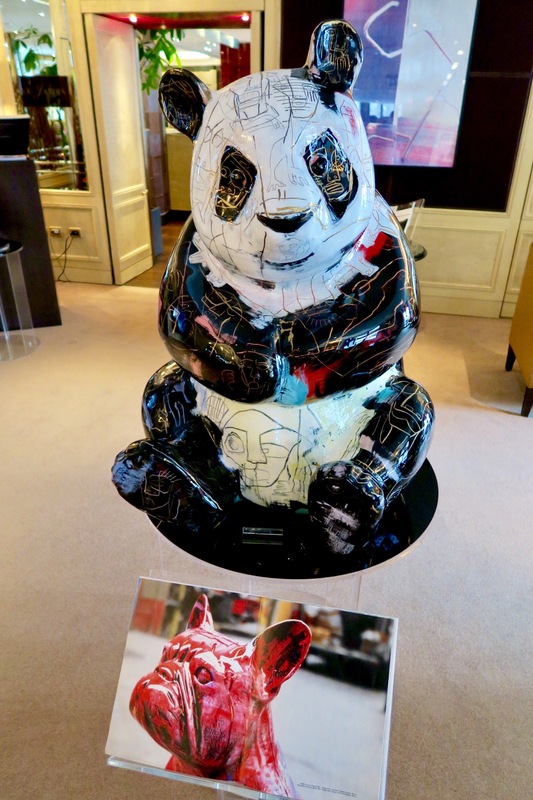 Posted in Art Guides and tagged Alastair Gibson, art collectors, art fair, art geneva, art guide geneva, art travel, artemporary, artgeneve, contemporary art, dorchester collection, geneva, Hotel Le Richemond, Julien Marinetti, luxury hotel, travel, wade guyton. Bookmark the permalink.